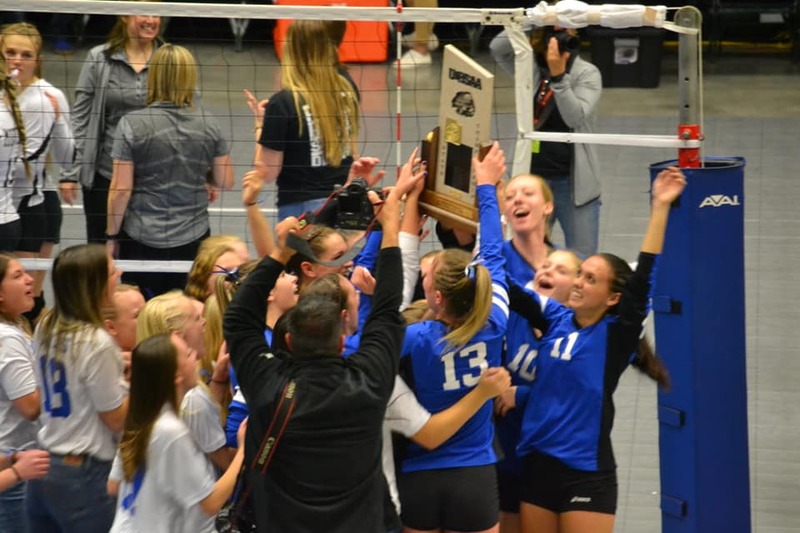 CEDAR CITY — The Panguitch High School Lady Bobcats cruised to the 1A state volleyball championship Saturday in Orem, sweeping all four of their matches over the two-day tournament. The Lady Bobcats, Region 20’s top seed, defeated Region 19’s Green River and Monument Valley 3-0 on Friday, then swept Intermountain Christian in the semifinals Saturday morning, 25-9, 25-9, 25-8. Panguitch coach Troy Norris said his team played its best match of the year against Intermountain Christian, holding them to single digits in all three sets. Panguitch’s servers were stellar throughout the tournament. In Friday’s first match against Green River, Tebbs, a senior, served 19 points in a row to help the Bobcats roll to a 25-3 win in their first set. Saturday morning’s win over ICS put Panguitch in that evening’s championship game against Monticello, where the Lady Bobcats were able to sweep the Buckaroos in three sets, 25-15, 25-14, 25-16. Our back row players were making amazing saves and digs as well as passing the serves with great accuracy. Our setters did a fantastic job of getting the hitters great balls to hit while keeping the defense off balance. And then, our front row players were able put up a great block on Monticello and shut their hitters down, and when balls did get by the block, the back row players dug them up. Our hitters are so powerful and good at hitting different shots that one out of every three shots resulted in a kill. 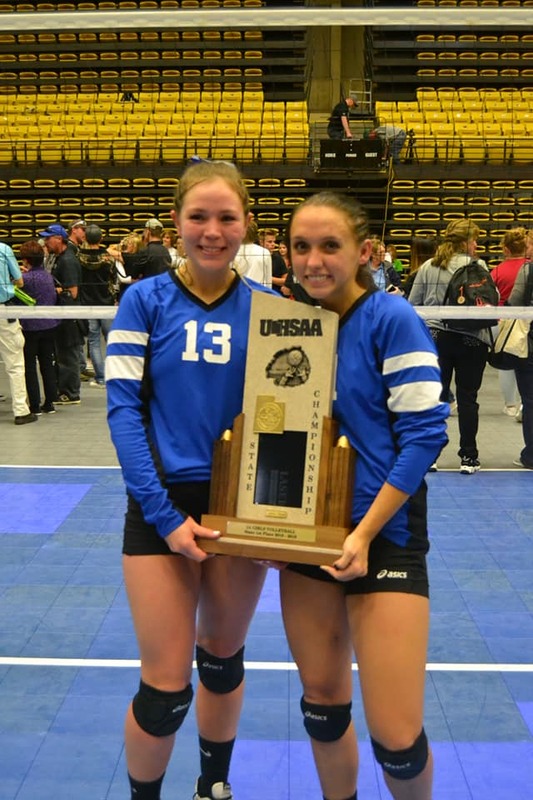 The championship victory capped off a remarkable 27-1 season for the Lady Bobcats, their only loss being a nonregion two-set defeat to North Sanpete at a tournament in Richfield earlier this month. “The girls really came together. They are such a fun bunch of girls to coach,” Norris said, adding that the team expects to be a top contender next year and beyond, as the Lady Bobcats won nearly all of their matches this year at the junior varsity and freshman level. Norris said he’s even more impressed by the girls’ academic success off the court, noting that the volleyball team has a combined grade point average of 3.95 out of 4.0. 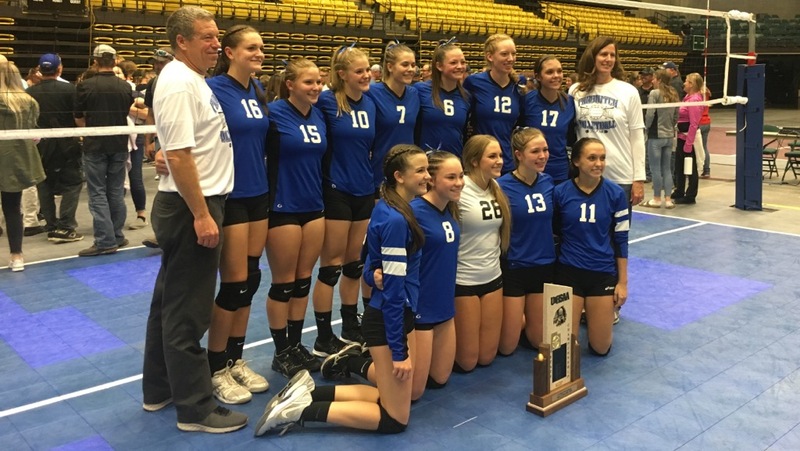 In other action at the state volleyball tournaments staged at Utah Valley University last week, the Enterprise Lady Wolves fell short of victory in the 2A championship match, as North Summit rallied from behind to win its third straight state title Saturday afternoon. Enterprise had swept its first three games of the two-day tournament to advance to the title match. In the championship match, the Lady Wolves won two of the first three sets, 25-20, 14-25, and 25-20, but dropped the fourth set to North Summit, 21-25. That tied the match 2-2 and set up a decisive fifth set to 15 points. Enterprise led 14-12 late in the final set, needing only one more point to win the state championship. But North Summit rallied to score the next four points and win the title, stunning the Lady Wolves and their fans. “The match was one of runs. We just ended up on the wrong end of a run,” said Enterprise head coach Brian Phelps. “We had a great season,” Phelps added, noting that the Lady Wolves finished their season with a 27-5 overall record, which included an unbeaten 11-0 record in Region 18 play. Enterprise’s squad had some of the top category leaders in the classification, with Ronnie Robinson leading 2A schools in hitting and second in blocks, Timorie Phelps leading 2A in receptions and digs, and Allie Laub leading 2A in assists. Updated Oct. 30, 7 p.m. to include additional information about Enterprise and a team photo. Even if people cared about reading sports stories a little bit, who in the HECK cares about sports from Enterprise and Panguish? wow.